Weed Pollen Allergy | Allergychoices, Inc. 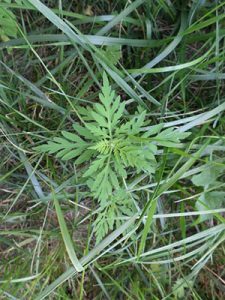 Need help identifying different weeds? For those with tree, weed and grass pollen allergies, certain foods may also cause localized reactions — like itchy throat. It’s called Oral Allergy Syndrome. Because the protein structures in foods like fruits and vegetables are similar to those found in tree, grass and weed pollen, they can cause itching and tingling to the mouth and throat. For example, if you’re allergic to ragweed, consuming melons and bananas during the pollen season may cause additional symptoms. Can allergy drops help weed pollen allergies? The only way to truly modify your body’s immune response to weed pollen and reduce or eliminate symptoms altogether is immunotherapy. Like allergy shots, allergy drops — or sublingual immunotherapy — change the way your body reacts to problem allergens by helping them tolerate them. Allergy drops are a safe, convenient, effective and affordable way to say goodbye to symptoms for years to come.